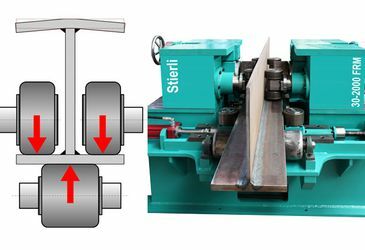 Stierli-Bieger AG develops and manufactures sophisticated horizontal bending and straightening machines, turning devices and storage systems. In 1936 the first bending machine has been produced and developed steadily since then. Today Stierli-Bieger AG is world leader in premium horizontal bending and straightening machines. The customer base includes industry, the metal processing industry and leading steel producers, machinery-, ship- and rail manufacturer in the world. The export share is well over 80%. For all employees we have a large production space and modern design and manufacturing facilities available. We have our own development department, construction, manufacturing, assembling, marketing & sales and service and work closely with selected suppliers. All Stierli-Bieger are delivered with CE confirmation. With the certification according to DIN EN ISO 9001 by Swiss TS / TUV Germany offers Stierli-Bieger AG customers the assurance and safety for a long lasting partnership.